You're invited to join us for the #OneUGA Chats as we continue the conversation. Chat through the #OneUGA in a series of virtual AND in person conversations hosted by University Housing and Multicultural Services and Programs meant to engage students in conversations about campus life, diversity and the challenges and excitement facing students on campus. Click here and here and here to see past chats. What will be talk about? This week, join as we discuss ACTIVISM with #UGA students, staff, and faculty. 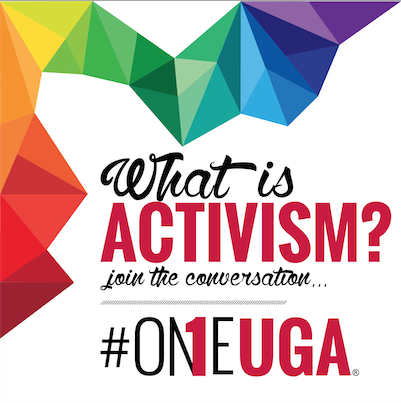 Join in on the conversation using #OneUGA or come and join the in-person discussion at Myers Hall. If you're interested in taking part in our conversation, please review our ground rules for discussion, listed below. Use I statements. No accusatory language or combative comments will be tolerated. Express your opinions in a courteous manner. This chat is being monitored by university officials and any violations of the Code of Conduct will be reported. Be open to dialogue that is outside of your comfort zone. 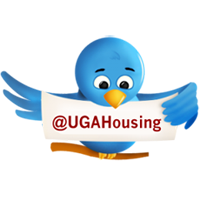 If at anytime you'd like to seek support or follow up regarding the conversation, please reach out to UGA Housing or MSP at UGA via our support request.